Net Zero Energy Efficient Homes – What Are They? Home/Energy Efficient/Net Zero Energy Efficient Homes – What Are They? Many energy conscious home builders are relentlessly striving to improve designs of houses they plan to construct in order to provide customers with several options concerning energy-efficient homes. It is not a simple task for the builders to offer not only Eco-friendly and energy-efficient homes, but also ensure that customers can afford their solutions. Reasonable pricing of energy-efficient homes that customers plan to buy is very important considering the present state of economy in the US. Earlier the energy-efficient design for a house was so prohibitively costly that it was beyond the reach of the average customers, though they are all aware that owning energy-efficient homes and energy conservation are beneficial to the environment as well as their homes’ energy costs. However, with several innovations in building designs and construction materials, an ordinary customer can now purchase a better-quality home, specially designed, keeping energy-efficiency aspects in mind at the same price as a normal home. Although energy–efficient homes are known by several different names, manufacturers and home builders call these reasonably priced houses ‘Net-Zero energy efficient homes’. The concept of ‘Net-Zero energy efficiency’ involves meeting complete electrical energy requirements of a home. 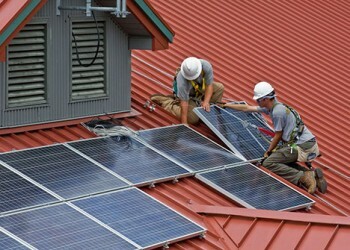 The focus of the Net-Zero efficiency in a home building system is to make available the total energy requirements of a home at the minimum possible price. Many critics of this concept argue that one can accomplish the same ‘Net-Zero energy efficiency’ by installing a good number of solar panels in any new home that is constructed. In a way what the opponents of the Net-Zero efficiency concept claim is partially correct. 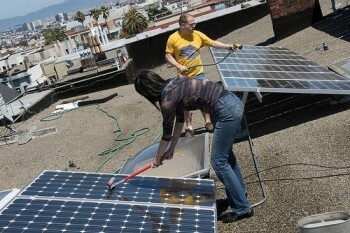 Although one can get all the energy needs of a house by installing a solar power system, it is not as valuable and cost-effective as designing a home and its various constituents as a total system that aims to cut down on power consumption as much as possible based on numerous improvements in the design, usage of building materials and construction methods. The objective of Net-Zero efficiency is to ensure minimizing power consumption of a home in a way that only less number of costly solar photovoltaic system‘s parts are used rather than installing high-priced solar panels. Most home builders hesitate to improve designs and build energy efficient homes mainly because of heavy research and development costs. However, in the present context of severe competition in the construction industry, builders who do not keep pace with energy efficient home designers will soon lose their market share. One can own environmentally friendly and energy efficient homes, if they purchase custom-built homes at the factory for the same price of most typical site built homes that one can come across in many residential areas. In the site built homes, there is no scope for shifting the walls and extend the house. One has to buy what the developer offers in standardized plans. On the other hand, in respect of custom-built homes at the factory there is much better control over design and the final assembled home. However, before taking any decision on the type of the house one would like to buy, it is advisable to carry out a comprehensive research on the internet online comparing the advantages and disadvantages of both Net-Zero efficiency homes and solar powered homes. It is the best way to find feasible choices at an extensive range of prices.